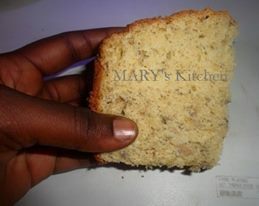 Instead of the regular bread for breakfast, why not try this recipe? You can serve it without bread spreads. It’s so delicious and of course, nutrituous! * Sift the flour, baking powder, salt, cinnamon, if using, into a bowl. * In another bowl, combine the butter with the sugar and grated lemon rind. Beat thoroughly until light and fluffy. * Add the mashed bananas and egg. Mix well. Add the dry ingredients. Blend quickly and evenly. * Spoon into the loaf tin. Bake for 50-60 minutes, or until a skewer inserted in the centre comes out clean.